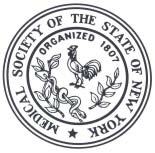 Westbury, NY—April 15, 2019— Frank Dowling, MD was re-elected Secretary of the Medical Society of the State of New York (MSSNY) at its 213th House of Delegates meeting in Tarrytown, NY on April 13, 2019. A graduate of Harvard College, Dr. Dowling received both his medical degree and his residency training from SUNY at Stony Brook School of Medicine. Since 2004, he has served as Clinical Associate Professor of Psychiatry at SUNY Stony Brook School of Medicine. Prior to that appointment, he was Clinical Assistant Professor from 1993-2004. Board certified in both Psychiatry and Addiction Medicine, Dr. Dowling has an outpatient private practice in Garden City and Islandia that focuses on treating victims of trauma and disaster, emergency responders and healthcare professionals and their families. He also treats patients with co-occurring substance use and psychiatric disorders. In addition to his private practice, Dr. Dowling serves as Medical Advisor to the Police Organization Providing Peer Assistance (POPPA), an independent, confidential, non-departmental voluntary assistance program for the NYPD. An active member of MSSNY, Dr. Dowling has served as Commissioner for Science and Public Health, co-chair of the Addiction and Psychiatric Medicine Committee, chair of the Task Force on Alcohol and Health and vice chair of the Committee on Bioterror and Emergency Preparedness. In addition, he serves on the Advisory Committee and as faculty for the Veteran’s Mental Health Training Initiative, a collaborative effort by MSSNY, NYSPA and NASW-NY to train NY practitioners to assist warriors and veterans with post-traumatic stress and TBI. When the ISTOP law was under consideration in Albany, Dr. Dowling—working with MSSNY staff—was instrumental in helping a MSSNY led coalition obtain the right for a designee to assist a physician with mandated PMP lookups. He currently serves on the AMA’s Opioid Task Force and on MSSNY’s Task Force on Physician Stress and Burnout. He previously worked with the MSSNY/OASAS Planning Committee that developed a 3 hour CME program on pain management and opioid abuse, which is available free to MSSNY members to meet the New York State mandated CME requirement. 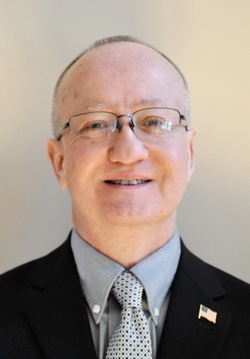 As a member of the New York Delegation to the American Medical Association (AMA), Dr. Dowling has collaborated with others to update AMA policies in several public health areas, including psychiatric and substance use disorders, access to care issues, LGBTQ health issues and healthcare disparities. Dr. Dowling received the American Psychiatric Association’s Bruno Limo Award in 2003 for “outstanding contributions to the care and understanding of victims of disaster” for his work with emergency services personnel after the World Trade Center attacks in 2001. In addition, Dr. Dowling received a Long Island Healthcare Heroes Award from Long Island Business News for his work in support of veterans and others with chronic psychiatric illnesses. In 2015, he was awarded MSSNY’s Charles D. Sherman Award for his support of medical students. He is co-author of Disaster Psychiatry: Readiness, Evaluation, and Treatment, a text book intended to prepare psychiatrists and other mental health professionals to respond to disasters and mass casualty events. Dr. Dowling lives in Oakdale, NY with his wife Theresa, sons Frank, Sean and Finn and daughter, Casey.